Keep your gear front and center with the Tactical Magazine Chest Rig. 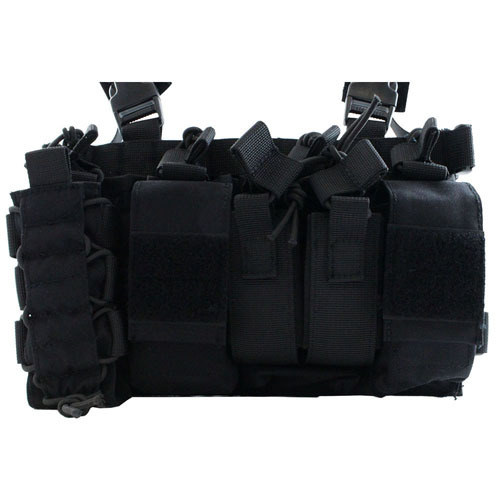 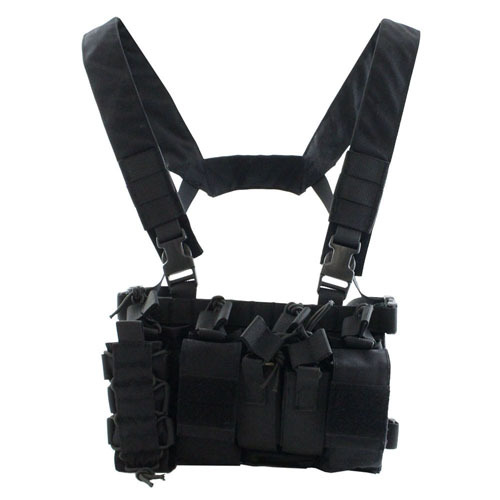 This modular load bearing vest has 9 pouches for storing rifle and pistol magazines, as well as loose ammo, flashlights, and other tactical supplies. Your gear is held tightly in place with bungee retention straps that can be adjusted to fit different sizes. 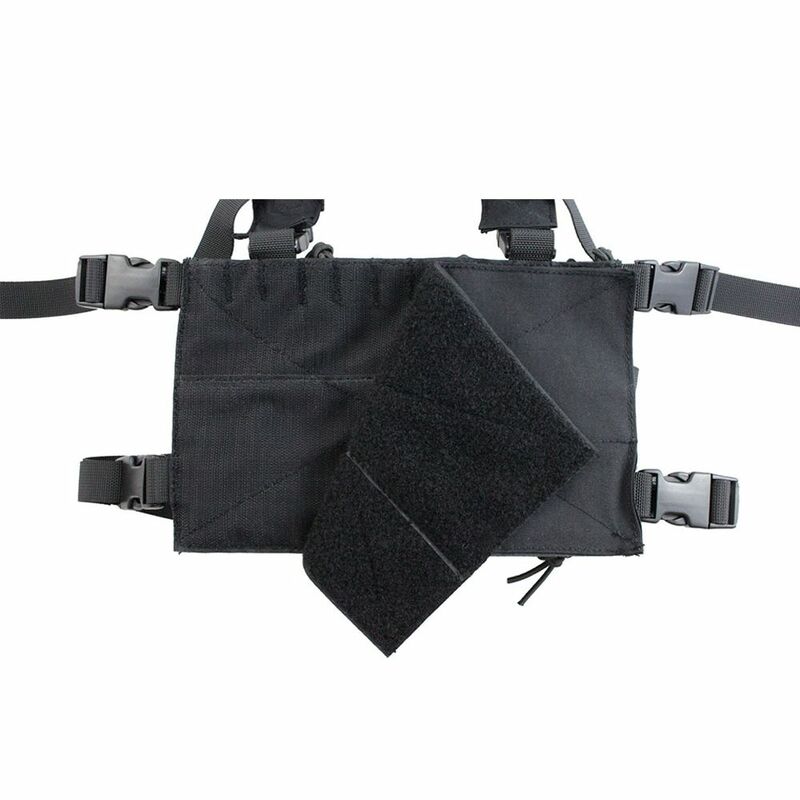 Quick-release buckles allow the entire front panel to be disconnected and mounted onto other gear using the hook and loop backing. 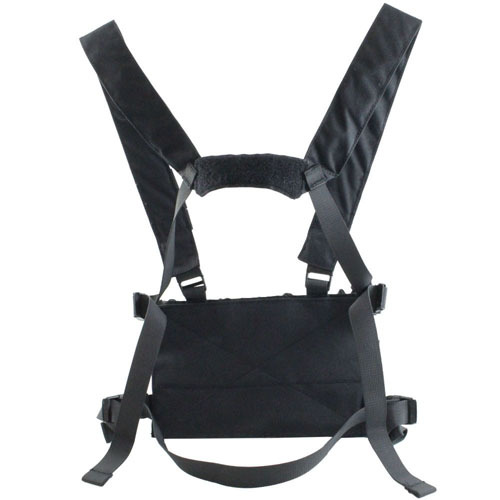 The shoulder and waist straps are made of thick Cordura nylon and are easy to adjust for a comfortable fit. This tactical black model is designed for stealth.